The 16th June 2017 started like any other day for Jerry Phelps. When he left the office at the end of the day to head to a routine doctor’s appointment, he had no idea that he’d never make it there. Whilst making his way there, Jerry suddenly took a turn for the worst and went into cardiac arrest whilst driving. Despite the severity of the situation, he managed to stop the car in the middle of a roundabout in Brislington. Luckily for Jerry a member of the public saw what happened and pulled him from his car. Thankfully the bystander called 999 and begun CPR, giving him the best possible chance of survival. 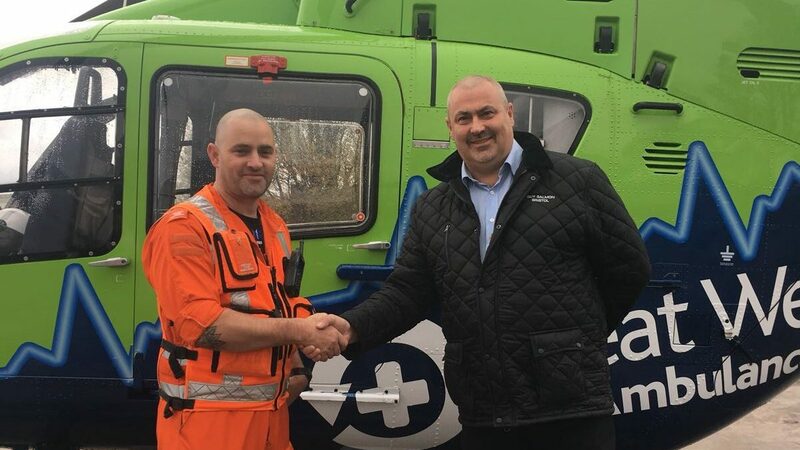 Within five minutes Great Western Air Ambulance Charity (GWAAC) Critical Care team arrived on scene in one of our Critical Care cars and gave Jerry the lifesaving care he needed to in order to survive. 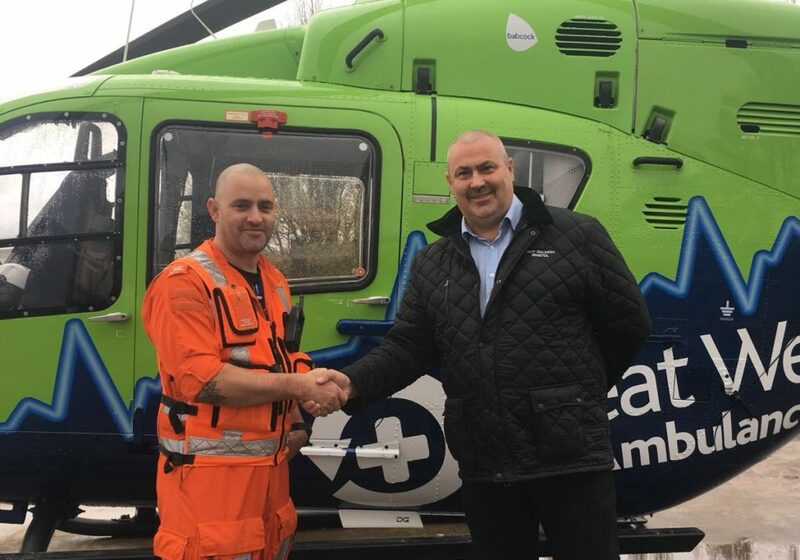 The GWAAC team consists of a highly trained and experienced Critical Care Paramedic and a Critical Care Doctor, who bring the skill and expertise of an Accident and Emergency Department directly to the patient. We worked hard alongside the road paramedics who arrived on scene first to give the best possible care to Jerry. Critical Care Doctor Cosmo and Critical Care Paramedic Matt were on scene during Jerry’s incident that day. Doctor Cosmo Scurr explained: ‘’We were called to assist our ambulance service colleagues as Jerry’s heart had suddenly stopped whilst he was driving home. They started providing CPR and life support and when we arrived his heart had been restarted but was extremely unstable’’. As Jerry’s condition was unstable the Critical Care team’s experience and specialist skills were desperately needed that day. On average Great Western Air Ambulance Charity respond to a cardiac arrest patient every day. Jerry says he now feels very grateful and lucky to have made a full recovery. So much so that he was able to visit the GWAAC airbase recently to learn more about what had happened that day.